Tomorrow, other stories will have to wait as an MSV exclusive exposes a transparent and weak political operation regurgitated with the resurrection of a failed tool by John Allen and Ravi Bhalla's overpaid face punchers. Yes, again. A mere day after the Hudson Reporter got its toe wet on the political operations being run out of the mayor's office where a trio of these malcontents is paid OVER $300,000 annually, a letter shows up. That letter is signed by the first of two John Allen "friends" who smartly disappeared after his relationship with Bhalla's Chief face puncher was exposed here on MSV and later spotted in the corner of an uptown steakhouse last summer having dinner with Ravi Bhalla and... you guessed it, John Allen. Not the smartest group of political operatives ever to work in Hoboken politics. But they do obviously love face punching good government women. High on their target list to bash in the face is the hard-working policy wonk Councilwoman Tiffanie Fisher. Nancy Pincus, Ravi Bhalla's vile and fabricating paid political operative is using censorship at the cave in a desperate attempt to keep the Big Lies going for her boss. If you ever post a comment at the dank, dark sewer of the cave, you know it's likely to disappear so take a screenshot and email it to smartyjones@me.com. 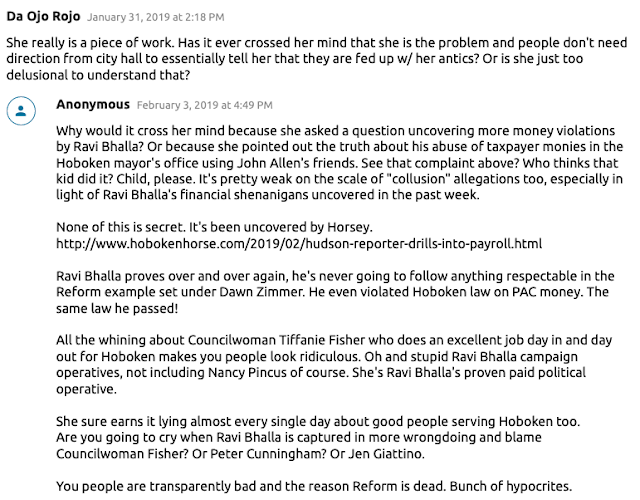 It could be published while maintaining your anonymity showing the utterly craven lengths these political operatives will go: lying, stealing and cheating to eliminate your voice for good governance in Hoboken. 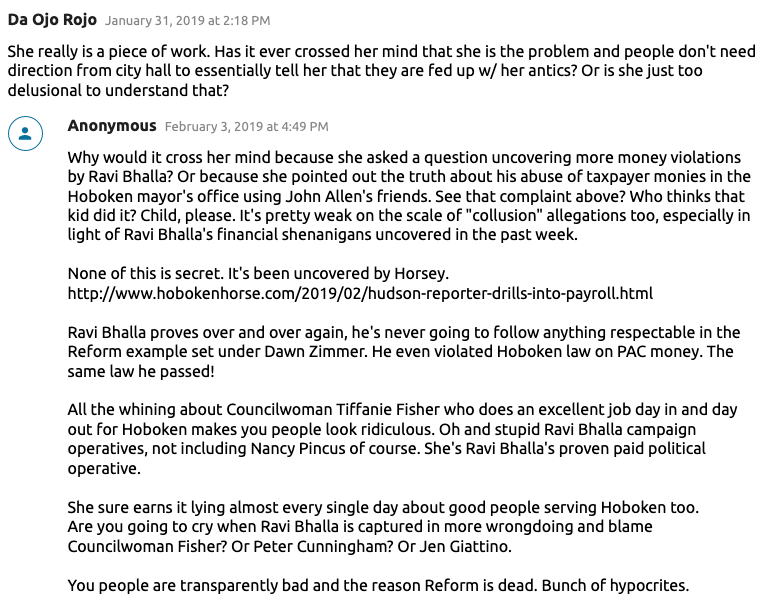 In short, it's Ravi Bhalla's overpaid mayor's office with Sybil's Cave working hand in hand as bad or worse than the treacherous former Councilwoman Beth Mason during the worst of Hoboken411. Let's kick it off with a special Sunday edition. While emoting in a torrential fact less whine, they certainly don't say a word about Ravi Bhalla and his financial misdeeds involving tens of thousands of dollars routed to his "second job" in a Republican law firm. That's the real purpose of his "second job." These miscreants have no answer first uncovered on the Hudson County View and later here because they're caught red handed supporting corruption. It's the New Old Guard of Ravi Bhalla. Here's a lame but typical attack against good government council members. Note it's all conclusion and completely devoid of fact. They usually leave the telling of the Big Lies to crazy Sybil, Nancy Pincus. The most power craven will add a few embellishments of their own to her regular screeds of lies. Actual comment quickly censored by Nancy Pincus at Sybil's Cave. 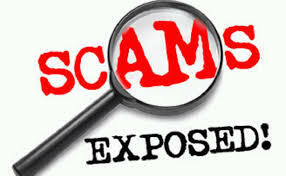 In the world of Ravi Bhalla operatives, the truth is the enemy and must be silenced.